iphone 5 will be launched in the month of september? 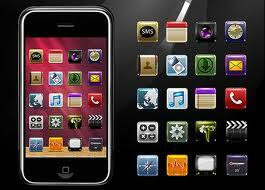 dewaberita - Apple will release a new iPhone, with faster processors and cameras are more enhanced, next September. The news was reported by Bloomberg, as quoted by the Telegraph, which cites "two people close to the plan". The report said that the new iPhone will be updated to include A5 same processor found in the iPad 2. The new device is equipped with 8-megapixel camera, the development of version 5 MP on the iPhone 4. Bloomberg said the phone will be launched September. The report followed other news from the technology blog Boy Genius Report, which on Tuesday (21 / 6) and then claimed that the new iPhone will have "a radical new design", possibly one that is "shaped drops of tears" and will be launched early or mid-August. The news about Apple's plans for the iPhone have been circulating for months but have been reinforced following the Worldwide Developers Conference (WWDC), which became the launch of new iPhone for the last few years. When the show was turned into an event focused on software, speculation moved to September, when Apple's usual update their iPod line. Although the company is hiding the plan, the tendency in recent years, rumors of new hardware as well as details of upcoming product has appeared in a few months before the launch. With many companies involved in the supply chain may not keep these products.